Short Straw, one of the most popular indie rock bands in South Africa, will perform at Midlands Forest Lodge in the KwaZulu-Natal Midlands on August 13. The concert is part of the Mill Sessions, a series of concerts hosted at Caversham Mill Restaurant and the Lodge by avid live music lovers, Terry and Di Acres. Among the bands which have performed in the Sessions are Jesse Clegg, Arno Carstens, Nibs van der Spuy, Oliver Mtukudzi, Paul Hanmer, Wendy Oldfield, and Kahn Morbee (Parlotones). 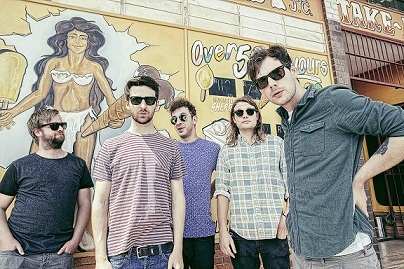 Shortstraw members are Alastair Thomas (vocals and guitar), Tom Revington (guitar), Russell Grant (bass), Jake Rubenstein (drums) and Gad de Combes (keyboard). They have just returned from a very successful two and a half week European tour. Based in Johannesburg, the band has earned a cult following thanks to their albums, Good Morning Sunshine and Youthless. Three singles Good Morning Sunshine, Couch Potato, and Bikini Weather made it to the top five of the 5FM Top 40, and Youthless debuted at number one on the iTunes chart on the day of its release. The band has also won two MK Awards – for best album and best video in 2014) and are regulars at the country’s biggest music festivals and venues. The warm-up act is Strings Attached, which is made up of three talented musicians from Michaelhouse in Balgowan. Tom Usher (guitar, ukulele, keyboard and voice), Takalani Tshivhase (guitar and voice) and Lesedi Letebele (drums and keyboard), are studying music as a Matric subject and brought the house down at the Michaelhouse Music Festival Rock Concert.